VideoPsalm has been translated into several languages. 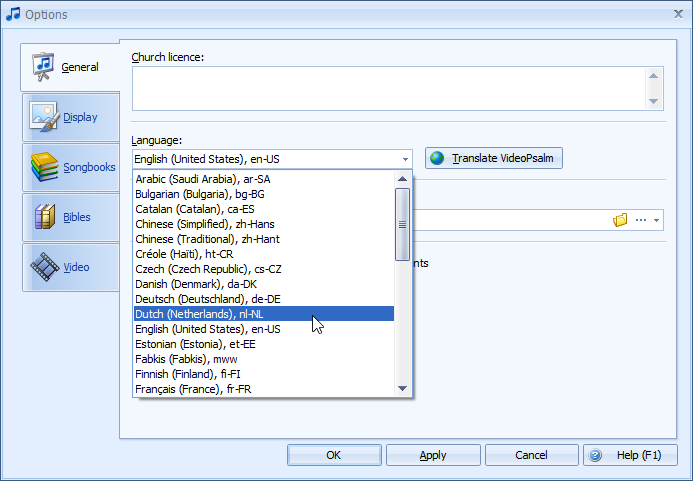 ​When you start VideoPsalm, it selects the language that is most appropriate to your PC language, usually English. Several translations have been done by an automated tool, and require human language intelligence to improve them. If you feel gifted for this translation work, please see how to translate VideoPsalm in your own language.